Posted by glw on Tue, 04/04/2006 - 09:26. I remember when Guitarist magazine was in its infancy, someone sent a photograph into the letters page of their Stratocaster which they had fitted with nine single coil pickups and a whole bank of switches. I wonder if there is a pic out there of it? Posted by lee_UK on Tue, 04/04/2006 - 21:09. The Rapier 44 and its upmarket version were pure marketing; to slap a price-tag on. In the same way, if I were to say "oh feckorf Lee" it would be pure knee-jerk reaction to a good ribbing. Someone out there really reads my single/serial/parallel yawnposts and thanks the Lawdy for G-site, Lee. Really, they do. Posted by 1bassleft on Wed, 04/05/2006 - 01:36. Posted by lee_UK on Wed, 04/05/2006 - 20:04. I think you got away with that one bass, anybody remember serial and parralel ports? Posted by Tim on Wed, 04/05/2006 - 20:48. Pretty sure I never used 'Parralel Ports', sound Spanish? Posted by 1bassleft on Thu, 04/06/2006 - 02:15.
:lol: , Tim - Lee will stop writing nice things about you if you're not careful. FWIW, I think the Graf Spee was scuttled in parralel ports, a dockyard suburb of Montevideo. Posted by USGold on Fri, 04/07/2006 - 13:17. What a nightmare---but I love the Chord roots on the fretboard-bol. Posted by mrblanche on Wed, 04/12/2006 - 12:41. Went to the restaurant last night and photographed the thing. 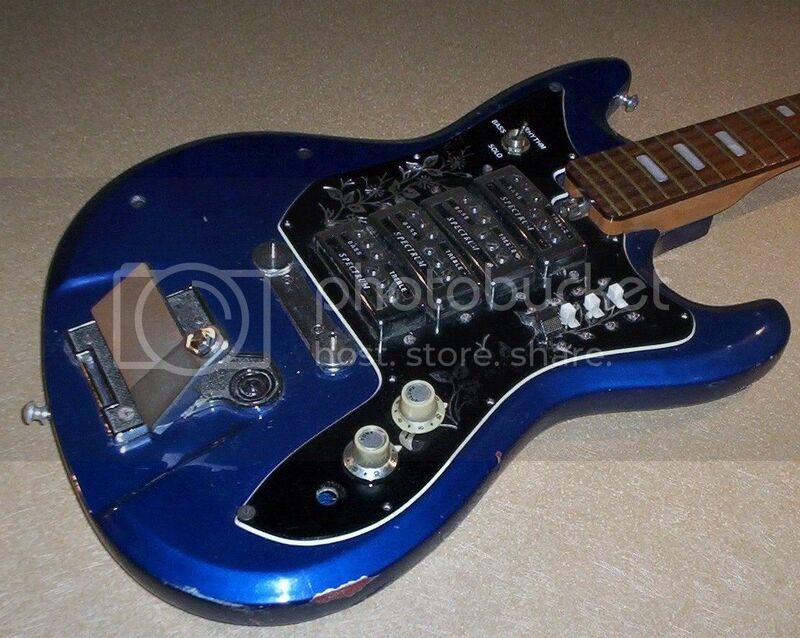 Obviously in rough shape, and I may have mispoken about the humbuckers. Posted by USGold on Wed, 04/12/2006 - 14:44. Those pups almost remind me of the split pu's for a Bass, the switches are interesting, is this thing some sort of variation on a mustang?. Too much setting up for my tastes-but rather intriguing anyway. Posted by glw on Wed, 04/12/2006 - 16:05. 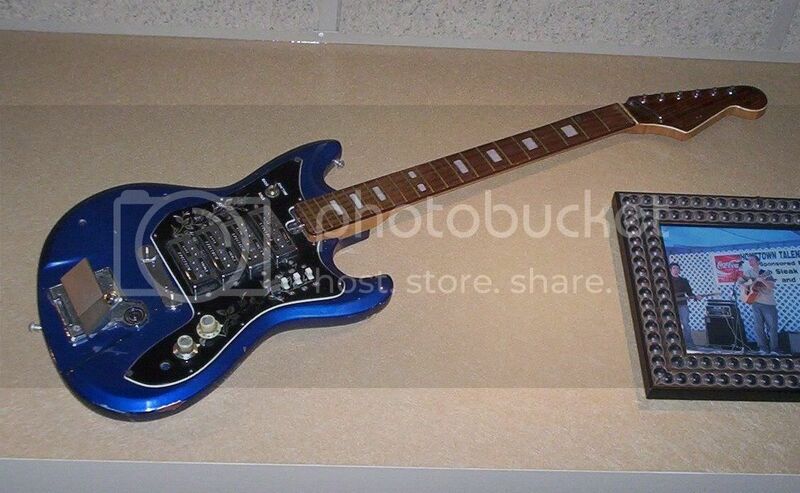 It looks a bit Teisco-like.